Four years, this Earth has been graced with his presence! May we live long and prosperous under his reign. 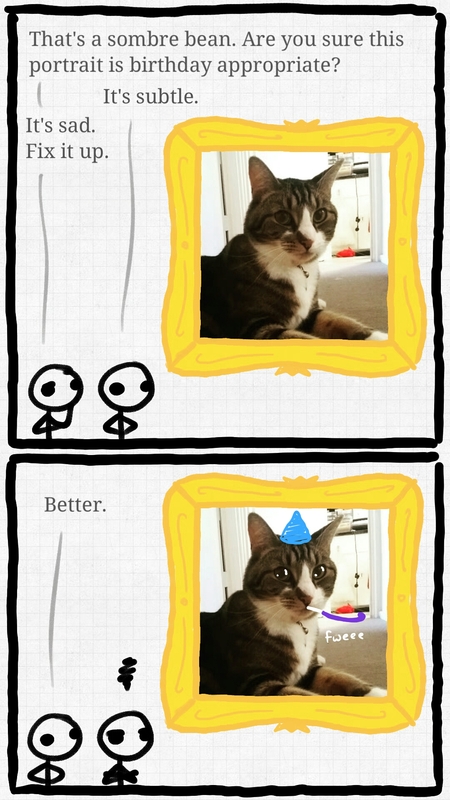 This comic was posted in Comics and tagged birthday, cat, fweee, malcolm, sombre bean.